The Observatory for the Protection of Human Rights Defenders, a partnership of FIDH and the World Organisation Against Torture (OMCT), has received new information and requests your urgent intervention in the following situation inIran. The Observatory has been informed by the League for the Defence of Human Rights in Iran (LDDHI) about the ongoing judicial harassment against Mr. Amir Salar Davoodi and the sentencing and re-arrest of Mr. Mohammad Najafi. Both of them are human rights lawyers. According to the information received on April 16, 2019, Branch 2 of the Prosecutor’s Office in Tehran’s Evin prison issued an indictment against Mr. Amir Salar Davoodi on charges of “cooperating with hostile governments through giving interviews to VOA” (purportedly under Article 508 of the Islamic Penal Code) and “establishing a group to overthrow the system” (Article 498). The case was referred to Branch 15 of the Islamic Revolution Court in Tehran. It is believed that the second charge is linked to Mr. Amir Salar Davoodi’ creation of a public channel called “withoutretouch” on the messaging application Telegram, on which he reported news and events regarding lawyers and the Bar Association. This channel was also used to share personal opinions on various topics including objections to the detention of lawyers such as Ms. Nasrin Sotoudehand Messrs. Arash Kaykhosraviand Ghasem Sholeh-Saadi, and other lawyers, as well as occasional statements critical of the actions of the Supreme Leader and the former Head of the Judiciary. Mr. Amir Salar Davoodi has been detained in Evin prison since November 20, 2018 (see background information). Moreover, the Observatory has received reliable information that the Court of Appeals in Arak, Markazi Province, upheld the conviction and prison sentence issued by Branch 1 of the Islamic Revolution Court of Arak against Mr. Mohammad Najafi on November 26, 2018 (see background information): one year imprisonment for “spreading propaganda in favour of groups and organisations opposed to the system” (purportedly under Article 500 of the Islamic Penal Code), two years imprisonment for “insulting the leader of the Islamic Republic” (Article 514) and ten years imprisonment for “co-operating with hostile governments by transmitting news and information in interviews” (purportedly under Article 508) through interviews he gave to Voice of America, Radio Farda, and BBC Persian Service. Under the provisions of Article 134 of the Islamic Penal Code, Mr. Najafi will likely have to serve these sentences concurrently, i.e. up to 10 years in prison. Mr. Mohammad Najafi was arrested on April 1, 2019 to serve his sentence and is currently detained in Arak prison. The Observatory notes that Mr. Mohammad Najafi was released from Arak prison in Markazi Province under an amnesty on March 28, 2019. He was serving a three-year sentence related to his defence work in the case of the death of a protester in police custody in January 2018 in Arak (see background information). The Observatory recalls that several other human rights lawyers are currently detained for exercising their profession or for defending human rights, including Ms. Nasrin Sotoudeh, and Messrs. Farhad Mohammadi and Massood Shamsnejad. Others were arrested and released on bail and are still awaiting the outcome of their case. In an open letter addressed to the head of Islamic Republic’s judiciary, dozens of prominent Iranian attorneys have called for the immediate release of their colleagues, jailed on trumped up charges related to their defense of civil rights. While several Iranian lawyers are currently behind bars, many more of them are free on huge bails, lined up for their trials. Meanwhile, the signatories to the letter have asserted that a note added to the Article 48 of the Islamic Penal code is a source of discrimination against most lawyers. The note limits the job of defending suspects in primary legal stages of national security-related cases to only twenty vetted lawyers, endorsed by the head of Islamic Republic’s judiciary, Ayatollah Sadeq Amoli Larijani. Few human rights lawyers are brave enough to work in Crimea these days. A recent letter from Russia’s Ministry of Justice to Crimean defense lawyer Emil Kurbedinov threatening his profession is yet another stark reminder that Russian authorities intend to keep it that way. Last month, Kurbedinov was arrested on charges of “public distribution of extremist materials” and sentenced to five days in jail for a 2013 social media post about a meeting in Crimea of supporters of Hizb ut-Tahrir, an Islamist political movement opposed to violence. Hizb ut-Tahrir is banned in Russia as a terrorist organization but operates legally in Ukraine. Kurbedinov had previously spent ten days in jail in 2017 after the court sentenced him on the same charges and for the very same post, but made on a different social media site. The Observatory has been informed by the League for the Defence of Human Rights in Iran (LDDHI) about the release on bail of Mr. Reza Khandan, a human rights defender known for having raised concerns on Facebook about human rights violations in Iran, including the imprisonment of human rights defenders and the prosecution of women who have campaigned against the imposition of the hijab. Mr. Khandan also campaigned for the release of his wife, Ms. Nasrin Sotoudeh, one of Iran’s most prominent human rights lawyers, who was arrested on June 13, 2018. According to the information received, on December 23, 2018, Mr. Reza Khandan was provisionally released on a ‘personal guarantee’. This followed a court hearing that was attended by Mr. Reza Khandan on December 19, 2018, at Branch 15 of the Islamic Revolution Court in Tehran. During the hearing, the Court agreed to change Mr. Khandan’s financial bail to a personal guarantee. Mr. Khandan is still facing charges of “gathering and colluding against national security” (Article 610 of the Islamic Penal Code), “spreading propaganda against the system” (Article 500 of the Islamic Penal Code), and propagating and promoting disregard for hijab in the society. Following Mr. Khandan’s release, medical doctor and human rights defender Mr. Farhad Mayssami and Ms. Nasrin Sotoudeh, who remain detained in Tehran’s Evin prison, ended their hunger strike. Mr. Farhad Mayssami had been on hunger strike since August 1, 2018 and received intravenous fluid against his will. Ms. Nasrin Sotoudeh had been on hunger strike since November 26, 2018, to express solidarity with Mr. Mayssami. The Observatory welcomes the release on bail of Mr. Reza Khandan, but recalls that he should never have been incarcerated in the first place. The Observatory calls on Iranian authorities to end all acts of harassment, including at the judicial level, against Mr. Reza Khandan and all human rights defenders in the country. The Egyptian authorities should immediately and unconditionally release human rights lawyer Mohamed Ramadan and drop the charges against him or otherwise charge him with a recognizable crime consistent with international law, said the ICJ today. Following his arrest, Mohamed Ramadan was detained overnight in the National Security Agency Office. 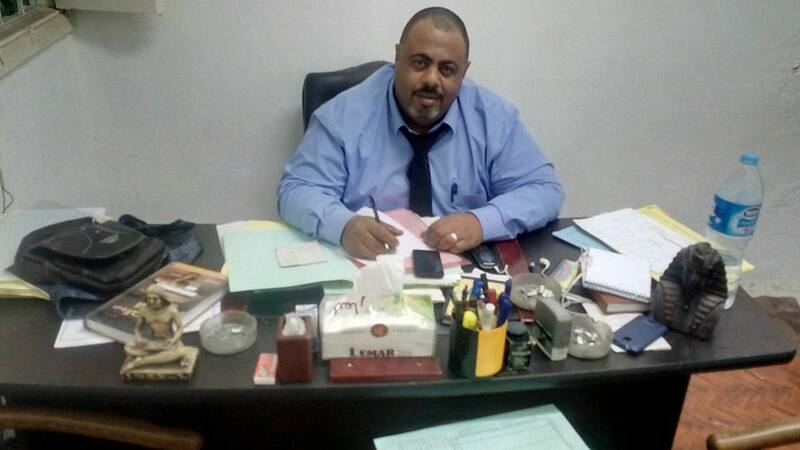 Ramadan’s family and lawyers did not know of his whereabouts until he was brought before the Alexandria Prosecutor on 11 December 2018. According to information available to the ICJ, the Prosecutor charged Ramadan with joining a terrorist group, promoting its ideology including through social media and possession of publications supporting the group’s purpose (Case No. 16576/2018 Montaza), and ordered that he be detained for 15 days. The charges appear to be to intended to prevent Ramadan’s exercise of freedom of expression and work as a lawyer. One of the lawyers who attended Ramadan’s interrogation on 11 December 2018 informed the ICJ that Ramadan had been informed by the Prosecutor to stop representing political detainees. El Observatorio ha recibido información de la Coordinadora Nacional de Derechos Humanos de Perú (CNDDHH) sobre la criminalización de los Sres. Juan Carlos Ruíz Molleda, abogado de derechos humanos que trabaja en el Instituto de Defensa Legal (IDL) y Fernando Osores Plenge, médico ambientalista comprometido con la denuncia de los impactos sobre el derecho a la salud provocados por la contaminación ambiental. Según la información recibida, el 8 de noviembre tuvo lugar la audiencia de control de la acusación que el Ministerio Público ha presentado en contra de los Sres. Ruíz Molleda y Osores Plenge por la supuesta comisión del delito de uso de documento público falso en agravio del Ministerio de Salud. La audiencia fue inicialmente suspendida hasta el 30 de noviembre y con posterioridad ha sido nuevamente aplazada hasta el 20 de diciembre. 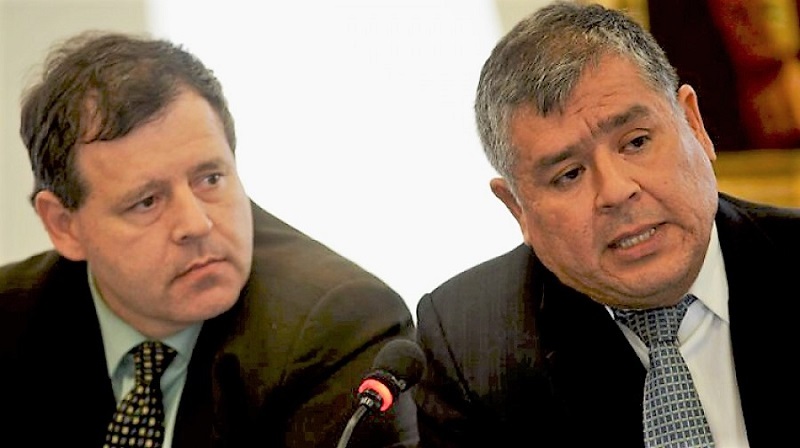 Tras pasar por varias instancias del poder judicial peruano, el 11 de junio de 2018 la Fiscalía emitió su requerimiento acusatorio en contra de los Sres. Ruíz y Osores, en el que solicitaba la imposición de pena privativa de libertad de dos años, la pena accesoria de 30 a 90 días multa, así como el pago de una reparación civil de 6 mil soles (1 565 Euros). Según las mismas informaciones, la acusación del Ministerio Público presentaba serias falencias a nivel probatorio y además únicamente se basaba en una parte de la documentación puesto que no tomaba en consideración como parte de su valoración jurídica importantes elementos que habían sido aportados por la defensa en su solicitud de sobreseimiento. El proceso en su contra se inició el 2 de octubre de 2015 con una denuncia penal presentada por elMinisterio de Salud (MINSA) y el Instituto Nacional de Salud (INS) en la que se les acusaba de lo siguiente: delitos contra la fe pública en sus modalidades de falsedad ideológica (artículo 428 del Código penal), falsificación de documento público y uso de documento público falso (artículo 427), y falsedad genérica (artículo 438); así como el delito de grave perturbación de la tranquilidad pública (artículo 315-A del Código Penal). Varios de estos delitos fueron posteriormente descartados por el Ministerio Público falta de elementos de convicción. IRAN – 4 novembre 2018 Ghassem Sholeh-Sadi remis en liberté sous caution. Il était détenu depuis le 18 août pour avoir manifesté pacifiquement devant le Parlement en faveur d’un vote libre, équitable et transparent.